“Less is More” is often true in our school. The principle can be interpreted in many ways. One way of interpretation is that although we practice our chi kung for only 10 minutes, we have more benefits than most other students who practice for an hour in most other schools. How do we justify that our students have more benefits although they spend less time in their practice? Our students, for example, overcome their illness, attain good health, vitality and longevity, and find joy in their daily living, whereas other students don’t. As expected, other people who do not bother to find out whether our claims are true, may think we are boastful and arrogant, and some may become angry. As I have often said, that is their problem, not ours, and we are not going to waste our time on them. I am just stating the truth. Another interpretation, which is relevant to our topic here, is that by performing less than our potential, we get more benefits. This is very different form what most people conceptualize. Most people, if they are dedicated to their training, want to get the most from their practice. For us, we may not want to get the most but we enjoy our practice! If we get the most from our practice, we over-train, which results in our getting less benefits at best, or harmful effects at worst. More often than not, the result of over-training is harmful effects rather than less benefits. Let us quantify our practice. Take the practice and the result of a student who attends my intensive course or a regional course as 100%. If he practices at 100% and gets 100% of the result, it will lead to over-training, usually with harmful effects. In other words, if he practices at home the way he practices when learning at my intensive course or a regional course, and gets the same benefits at home he gets at my intensive course or regional course, he will over-train. What should he do? He should train at less than his potential, like at 30% instead of at 100%. He will also get about 30% of the potential benefits. 30% here is a guideline. It may be 25% or 35% or at whatever percentage he feels is right for his best benefits. There are two points worthy of note. 30% of a student is different than 30% of a master. A master’s 30% may be a student’s 300%. One may ask how a practitioner can reach 300% as the maximum is 100%. 100% is the maximum amount of benefits of the student at a given time. This is his potential at this time. 300% means three times the potential of the student at that time. In other words, a master’s 30% is 3 times the potential of a student. A second point to note is that as a practitioner progresses, his benefits will also increase though he may operate at 30% all the time. 30% three years later may be 200% now. In other words after three years the benefits a person gets are twice his potential now although all the time he operates at 30%. Why do I teach at 100% at an intensive course or a regional course, and then ask students to practice at home at 30%? There are two main reasons. One, I teach in an intensive course or even a regional course in a few days or even a few hours material that will need a few years to practice. In other words, participants at an intensive course or a regional course learns in a few days or a few hours a certain amount of material. He needs a few years to practice at home the same amount of material. Two, participants at my intensive course or a regional course range from beginners’ level to masters’ level. The masters already teach some of the techniques of the course to their own students at their regular classes. Among other benefits of the course, the masters improve on the skills in performing the techniques. Beginning students focus more on the techniques. Hence, because of the difference in skill level, 30% benefit of the masters can be 300% benefits of the beginners although they perform the same techniques. If some one earns 2000 euros a month, 30& is not much, which is 600 euros. But if he earns 100,000 euros a month, 30% is 30,000 euros, which is a lot of money to most people. Translated into chi kung benefits, it is as follows. About 20% of all chi kung practitioners in the world practice genuine chi kung, but of a low level. The other 80% use chi kung techniques to practice gentle physical exercise, often without their own awareness. Someone of this genuine but low level chi kung gets 2000 units of benefit a month, If you operate at 30% you get 30,000 units of benefit a month. If you work at 100%, which is not recommended as it will lead to over=training, you get 100,000 units of benefit a month. Now, is it legitimate to say that other students of low level chi kung get 2,000 units of benefit a month, whereas our students operating at 100% get 100,000 units of benefit a month? 100,000 is 50 times 2,000. In other words, is it legitimate to claim that our chi kung is 50 times better than the low level chi kung practiced by others? Let us take the most crucial element of chi kung, i.e. energy flow. Students at my intensive course or a regional coruse can generate an energy flow on the very first day of the course. If students of other schools can generate an energy flow after 50 days, it will be very good result. They can’t. Hence, it is legitimate to say that the chi kung practiced by our students is at least 50 times better than that of other schools! It should be noted that our certified instructors can also help their students generate an energy flow on the first day of the students’ learning. But in regular classes of a few months, for the benefit of the students, our instructors normally take a longer time to do so, whereas I have to do so on the very first day because my courses last for only a few days or hours. How do we lower our practice to about 30%? An excellent way is not to enter deeply in a chi kung state of mind. You can approach the issue as follows. First, enter into a chi kung state of mind while you are performing chi kung, about half as deeply as you normally do. You will then operate your chi kung at about 50% of your potential. Using this as a guideline, the next time you practice chi kung, enter into a chi kung state of mind about half as deeply of what you did. Hence, you operate at about 25%. It is worthy of note that we practice chi kung for its wonderful benefits. If you practice at 100%, i.e. at your potential, you may feel extraordinary for a short time but eventually you may harm yourself. Working at about 30% or at whatever level you feel it suits you, you will get the best benefits to enrich your daily life. 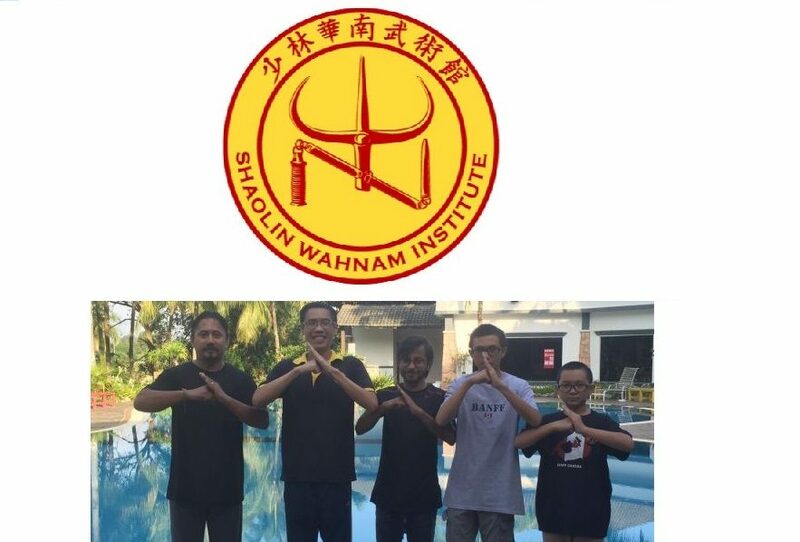 This entry was posted in Chi Kung, Grandmaster Wong Kiew Kit, Kung Fu, over-cleansing, over-training, safety first, Shaolin Wahnam and tagged chi kung, Grandmaster Wong Kiew Kit, Kung Fu, over-cleansing, over-training, safety first, Shaolin Wahnam on June 20, 2017 by Wei Joo Lee.